Whoever said that 'diamonds are a girl's best friend’ had obviously never made it out of Kansas before! 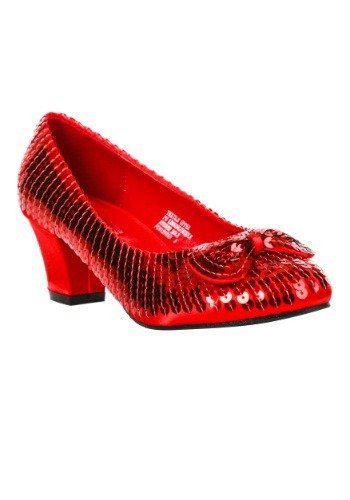 Diamonds sure are purdy, but a real travelin’ lady knows that a killer pair of standout heels like these Adult Red Sequin Shoes will always be their BFF (along with a few fellow wanderers she picks up along the way). It doesn’t take a wizard to see that a dazzling pair of shoes will make any outfit stand out; these ruby-sequin and bow-topped pumps are bound to bewitch just about anyone the wearer meets on the road (be it yellow or any other color!) Plus, imagine clicking your heels together anytime, and arriving home safe and sound! How cool would that be? Now, we’re willing to bet that your diamond ring can’t do that!